MARK YOUR CALENDAR FOR THE RELEASE OF TWELFTH YEAR MAGAZINE VOL 4! The Blog » MARK YOUR CALENDAR FOR THE RELEASE OF TWELFTH YEAR MAGAZINE VOL 4! An incredible team has been busy preparing for the release of Twelfth Year Magazine Vol 4! There has been fittings at local stores including BUCKLE, Blue Harvest Apparel, Coast To Coast Styles, Dora Grace Bridal, Francescas, GG's Boutique, Magnolia Moon, MkLAREN and Tula! Then we had photo shoots with professional makeup by MAC Cosmetics artists Dotted With Hearts Artistry and Sara Dozier and hair styling by Bella Shea Salon. A beautiful floral crown by Lace and Lilies was even miraculously created a day early. The CSP 2017 Senior Model Team braved cold temperatures - some even wearing shorts! In addition, interns from Colorado State University have spent long hours styling, assisting, organizing, interviewing and writing. And, of course, there has been lots of editing and designing a magazine for publication. Whew! 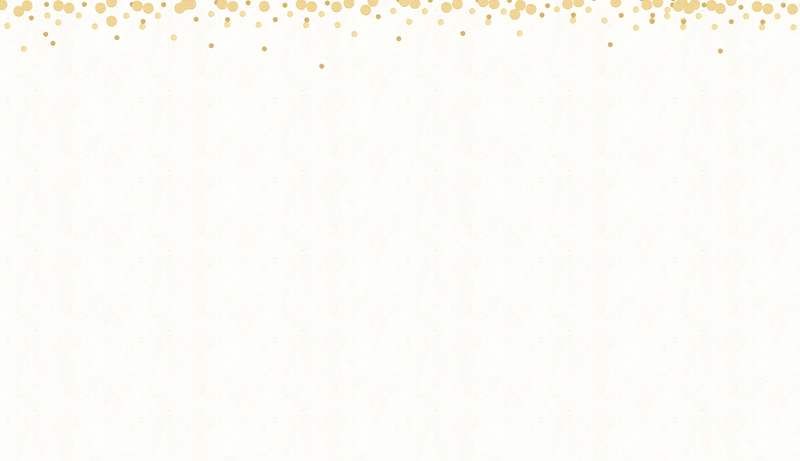 We are almost ready to share Twelfth Year Magazine Vol 4 with you! Curious about Vol. 3? Check it out here. 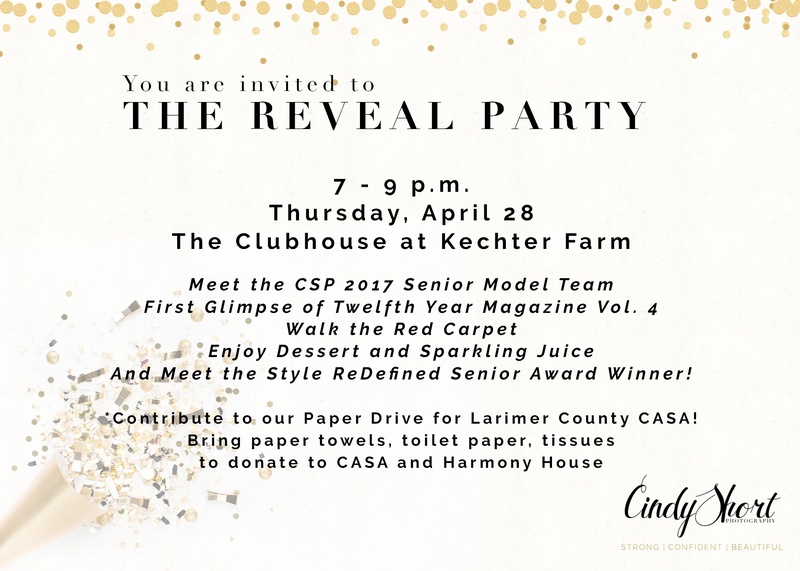 So, mark your calendars and plan to come out to the gorgeous clubhouse at Kechter Farm in southeast Fort Collins for a party! We want to celebrate with you! This red carpet event will also serve as a paper drive for CASA of Larimer County. CASA is in need of paper towels, toilet paper, and tissues for Harmony House. Harmony House provides a warm, home-like atmosphere for supervised visitation between children and their non-custodial family members. Bring these items to The Reveal Party to contribute to the drive and help CASA continue to serve families in Northern Colorado! You can learn more about CASA by clicking here. 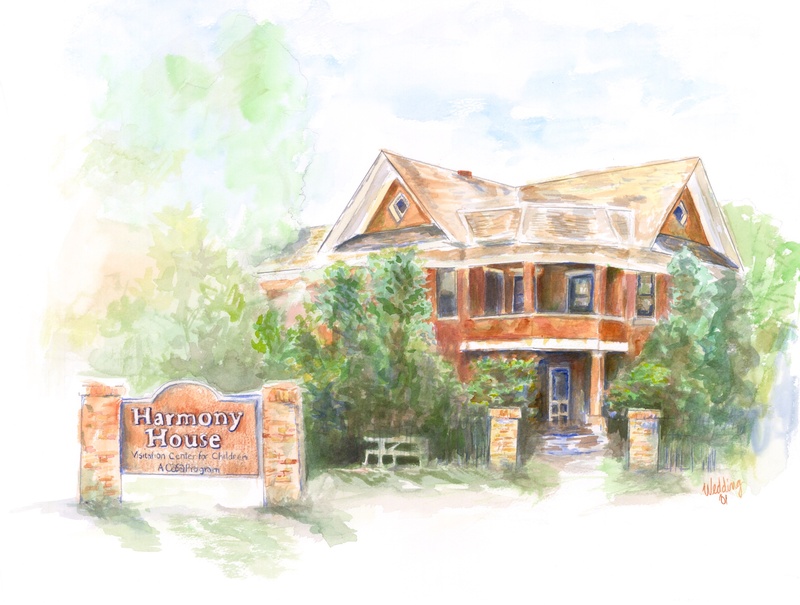 A good friend of mine painted this artwork of the Harmony House in Fort Collins. I love it so much, I had to share it here. Cindy Short Photography, specializes in modern, fashion-inspired portraits of children, teens and high school seniors! We are now booking the Class of 2017 for Summer and Fall dates! Call 970-699-6902 or email cindy@cindyshortphotography.com to receive the 2017 Senior Portrait Guide containing all the details on how to book or visit http://www.cindyshortphotography.com to see more of Cindy's work. Cindy Short is a Colorado photographer who creates fashion-inspired child, teen and high school seniors portraits. Cindy was recently named one of the HOT 100 Senior Photographers globally by Senior Style Guide. Her background in journalism, naturally stirs her to want to tell your story. Cindy will help style your session to create something special for you and offers design services for creating wall art, framing and collages that compliment your home as well as beautiful keepsake albums. Cindy's family includes her husband, Bryan, three children and the most beautiful granddaughter in the world. Her family also includes three dogs and a kitty cat.